Hey crafty friends, I hope everyone is ready for a fun filled summer weekend. If the weather holds up we make take the kidos to the lake, and of course I will be squeezing in some crafty time. The card I’m shareing today was created using Newton’s Nook “Woof Pack” stamp. I first stamped it on Neenah Solar White cardstock in Memento London Fog ink using my MISTI. I was really wanting a super light grey for all the puppies because I wanted them to almost fade out into the background. The Memento London Fog ink is the lightest grey I have, but I realized it’s not light enough for me, so now I have to find a very light grey ink to add to my wishlist; woohoo, more craft supplies, that’s what we all need, lol. Using Polychromos pencils I colored one puppy black using a combination of cool greys and black. I decided to color the collar red, I think red looks great with the black and I feel like red is always the first color you think of when it comes to dog collars. I used my Sizzix BIGkick to cut my puppies panel out with a cross-stitched die. I also used a stitched banner die to cut two banners out in yellow polka dot paper. I have lots of scraps of this paper so I’ve been using it in a lot of my project, plus I like adding a touch of yellow. Oh yeah, I trimmed down a piece of red Recollection cardstock to add to my layers. I attached all my paper pieces using my ATG Tape Gun. The front still looked a bit blah to me so I added a few strips of white satin ribbon and a metal puppy paw brad from my craft stash. Oh, I also added the small black and white striped paper below the ribbon. It was a piece of scrap sitting on my table, so rather then trashing it I put it to good use. I decided not to add a sentiment to the front because I liked it just the way it was. My plan was to layer the red cardstock, and yellow pattern paper on the inside and to then add a sentiment panel on top but I could not decide on what sentiment I wanted. I’m going to wait until I have the perfect person to give this card to before I add the sentiment, because then it will be easier to decide what sentiment to use. 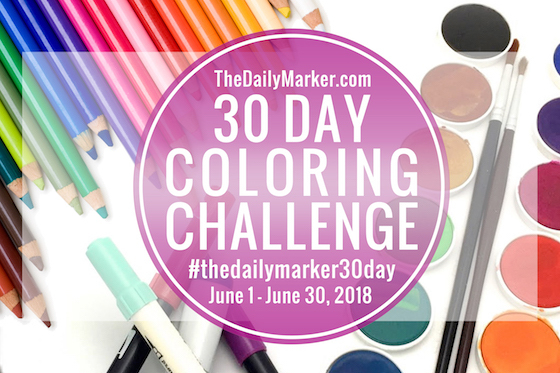 I’m also linking this up of at The Daily Maker for the 30 Day Coloring Challenge. That’s it for today, I hope I have inspired you in some way. Thank you for stopping by. Adorable card! Love how you highlighted that cute Corgi! 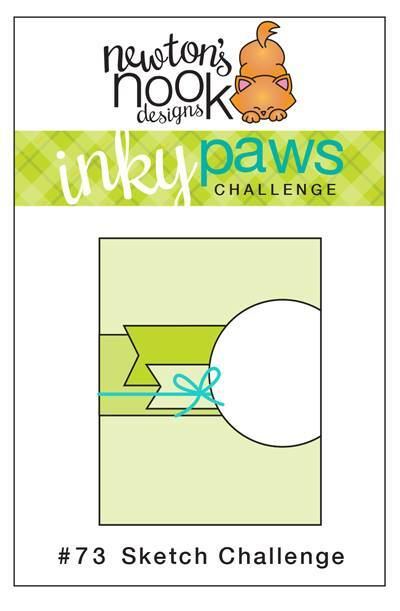 Thanks for joining us for the Inky Paws Challenge! Super cool card! Thanks for Linking to the Inky Paw’s Challenge. What a cute card! Love the one colored dog! Thanks so much for sharing with us at Inky Paws Challenge! This is so cute! I love the simple design and how you highlighted one single puppy! So fun!! I like the idea of the dog is man’s best friend card. 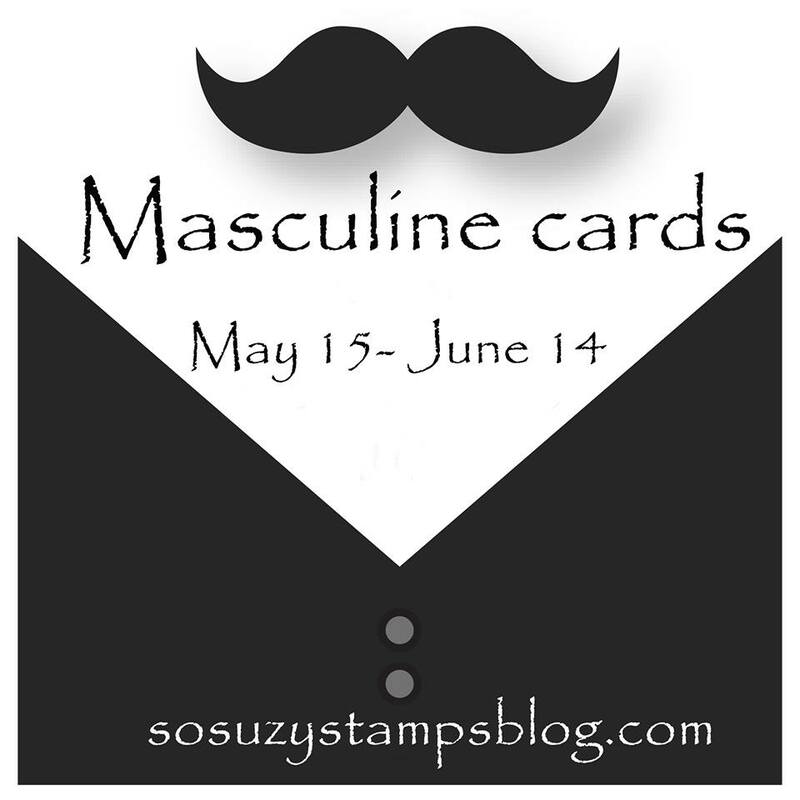 Thank you for joining our challenge at Crackerbox & Suzy Stamps. Aww, so cute! 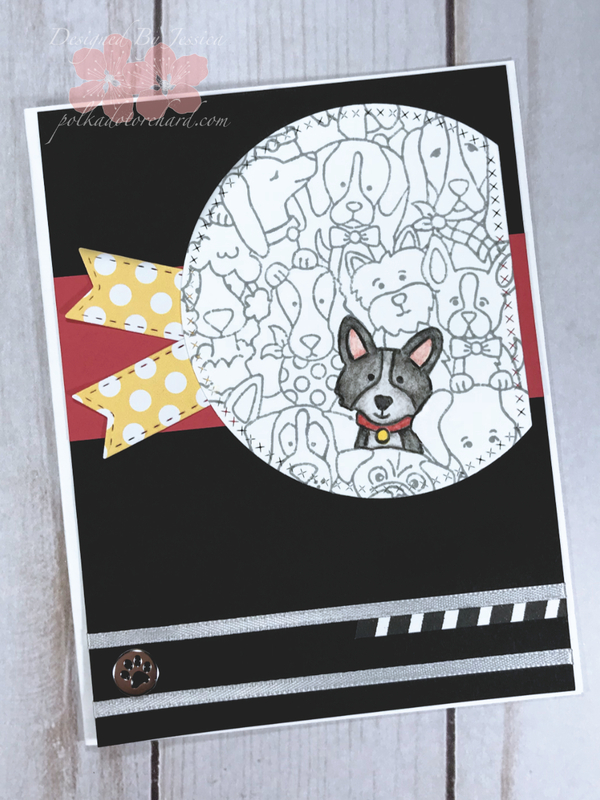 Perfect card for a puppy lover! Thank you for playing along in our Crackerbox and So Suzy Stamps challenge!